Join ACES on Saturday, October 14 from 12 pm – 4 pm to celebrate fall at Rock Bottom Ranch with a unique event for the whole valley! This family-friendly party features lunch by Smoke Modern BBQ and live music by the Caleb Dean Band. 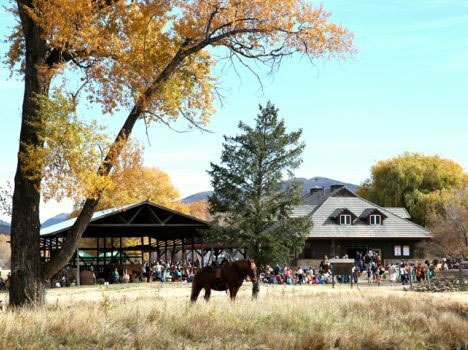 Guests of all ages will enjoy pumpkin carving, apple cider pressing, farm tours, face painting, traditional ranch games, dancing, a silent auction to benefit ACES Ed, and more. Kids 3 & under are free. Get your tickets now – this event may sell out!